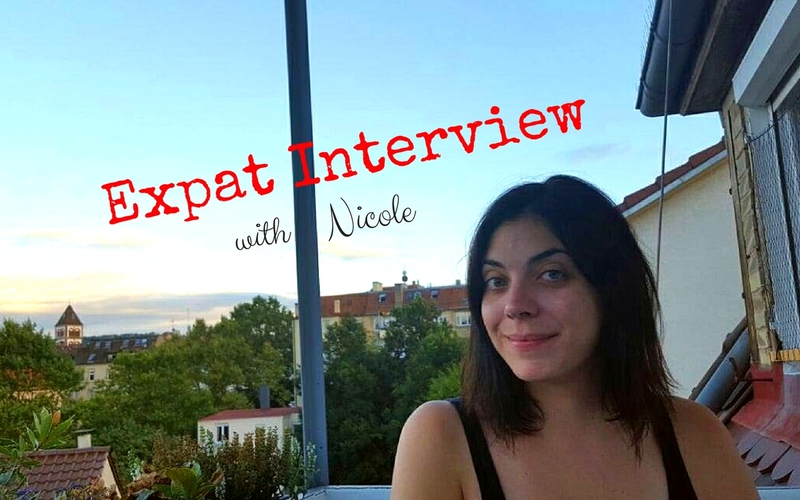 Nicole moved to Stuttgart in 2016 and lives with her Austrian husband in Stuttgart-West. In the interview she tells us what she loves about life in Stuttgart, what her favorite places are, and shares advice for everybody anyone who is planning to move to Stuttgart. Nicole, what brought you to Stuttgart? In the summer of 2015 I was living in Chicago, that’s where I’m from. I was in my mid-thirties, I was single and I wanted to go to Europe. But I couldn’t find a friend to go with or if I did, we wanted to go to different places. It was one of those situations where I was like: “OK, I’ll go alone!” So, I did. I went to Prague first and stayed there for four nights. It was nice but the weather was not so great. It rained the whole time. But I made the most of it. And then I went to Vienna. And I met my husband in Vienna. It was great. He is from Vienna so I had a local tour guide! He took me everywhere so I could see everything. A few days later, my last stop was to go to Paris for my final week. My husband said he would take me to the airport and even came inside with me. I wasn’t really expecting all of that. And then I flew to Paris. I spent the first day by myself and had a nice dinner. On the next morning I woke up and he had sent me a text message saying “If you’ll have me, I would love to come to Paris.” He arrived that night and took the week off of work. So we had one week in Paris together. And then we both went home. He was living in Stuttgart by the way. He was only in Vienna to celebrate his birthday. So for one year we did a long distance relationship, which was tough. Every month for one week either he would come to Chicago or I would go to Stuttgart. That’s what we did. It was not only expensive but also exhausting and it became difficult with work. So finally we were like “Ok, it’s been a year..”. And he was always begging me to move to Stuttgart. And then finally I said I’ll do it. I’ll move. So I quit my job and found someone to rent my condo in Chicago and – that’s it. I got my cat ready and we flew over together. That was in June 2016. 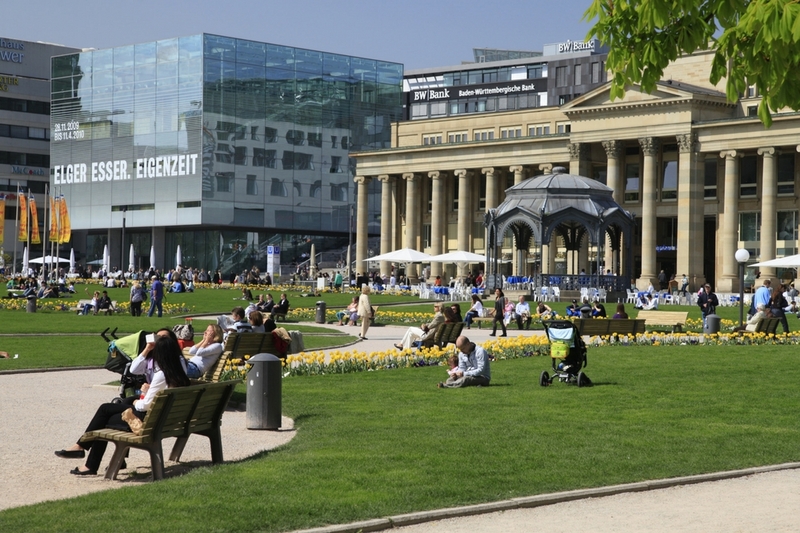 What did you know about Stuttgart before you came here? My husband and I are both foodies so he told me about the market hall and about all of his favorite restaurants. During the year I just came to visit I would go straight to the mineral baths, mainly to Leuze. Bad Berg too, but now it’s under construction. When you came to Stuttgart for the very first time to visit your future husband, what was your first impression of the city? I think I was pleasantly surprised. In the States people know Stuttgart because some army guy was here once. But there isn’t a very good understanding of the city – or that it even is a city. People underestimate it really. For example the Schlossplatz: When people come to visit me they are surprised that they are standing in front of a castle – in the middle of the city. And it’s beautiful. Stuttgart turned out to be more metropolitan than I had originally pictured it. Do you remember what was strange to you at the beginning? I think I’m still getting used to saying hello and good bye to everybody, like when you go to a store. I’m not used to doing that. And this whole bill-me-later and pay-later-thing on the internet is strange to me, too. I don’t understand why people would send me stuff for free and expect me to pay for it later. Oh and when I went to the doctor for the first time. I only wanted to do a check-up, like do my blood-pressure and a blood-test, the doctor seemed like I was asking for something out of the ordinary. But maybe it was only the doctor who acted a bit strange. But apart from that – not much. Nothing felt really weird to me. Anything that is different to the US but that you like in particular? I love Birkenstocks and I never really knew about them in the US. And around Christmas time I really enjoy that people wrap gifts for you in the stores. In the States you have to pay someone to wrap your gifts or you wrap them at home but I feel that is a really nice convenience. Plus, I love that Germans love coffee and cake! This tradition, I think it is really cute – and more people should be doing it around the world. I also like German breakfast, like how you incorporate savory. In the US it’s always very sweet. Here in Stuttgart I really like the public transportation system. It’s clean, it’s fast, it’s reliable. 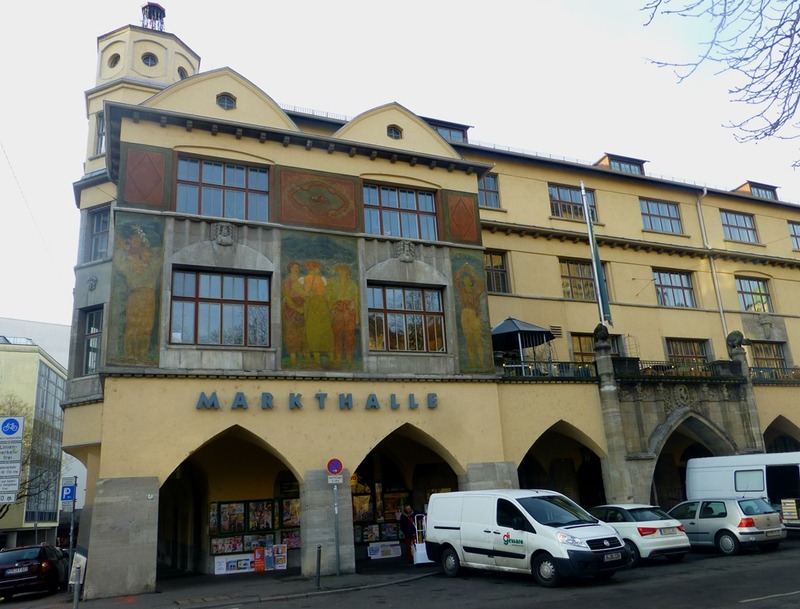 And the market hall. Even in Chicago, which is a huge city, there is no big food market. And the mineral baths. I think it’s just amazing to live in a place with so much natural water. If you had to pick one, which would be your favorite place in Stuttgart? Oh that’s a hard one. I would say the market hall. Or maybe the Schlossplatz. It’s such a nice place to sit outside. The fountains are really beautiful, the building is really beautiful, at night it’s very beautiful… it’s a nice place and the gardens are really beautiful, too. I just love that feeling of being downtown. Have you found a more hidden place that you didn’t know about at the beginning? I just found the Japanese garden, near Buschpilot. I stumbled upon it and I loved it. Well, there is a lot of graffiti but still. I think it’s a lovely hidden gem. I knew about the Chinese garden before but the Japanese one was new to me. You said you’re a foodie. So what’s your favorite German dish? I think it would be Käsespätzle. And I like Maultaschen, too. You know, I grew up in Wisconsin and Wisconsin is also a meat and potato kind of place so I like heavy food anyway – especially in the winter. And what are your favorite restaurants in Stuttgart? 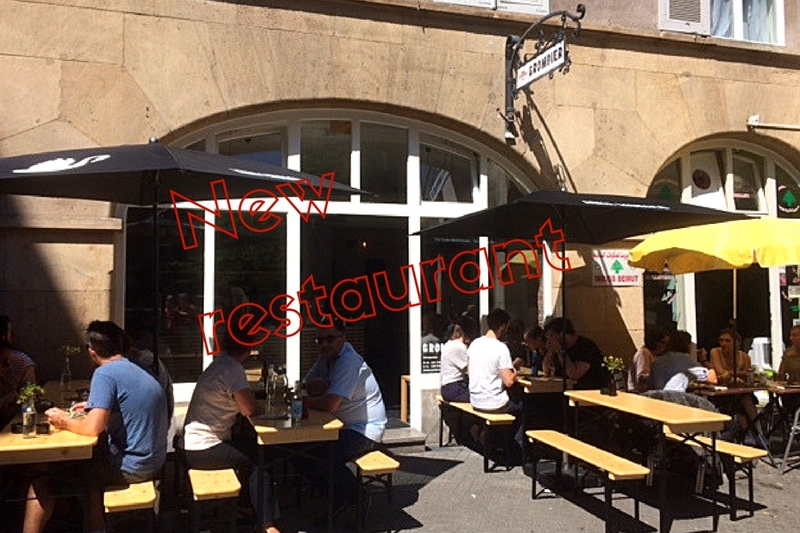 In Stuttgart-West there is this restaurant called Zum Spätzleschwob. That’s where I go for German food. And I also love sushi from Sushi-Ya at Feinkost Böhm. And I really like Metzgerei – for brunch, for lunch and for dinner. I also just love the bakeries. In Chicago there are not many bakeries, it’s not part of everyday life. So I really appreciate that. Right after I moved I enrolled in an intensive course. But I think it was too soon. I just landed, my things were still on the way, I hadn’t settled in yet so I think I was just stressed out and not ready for it. Now I think about self-learning or learning online for example with babble for an hour a day or so. Also people tell me about Volkshochschule, so I’m thinking about doing an evening course to support my own learning. What advice do you have for other expats that are planning to move to Stuttgart? Get the VVS app on your phone So that you can buy tickets on your phone and plan your trips. I think that makes a big deal. Otherwise public transport can be confusing with zones and prices. And recycling and garbage separation are important here and very different to where I come from. This can be very complicated for someone who’s new. In general, I can recommend to just get into the train and explore all the great little neighborhoods. Walk around, explore the stores and restaurants. And the next day you can pick another neighborhood and explore it. I try to do a lot of exploring but even I find places where I haven’t been before. That’s what I would recommend. You also have a blog. Tell us about it! Yes I do, it is called americanexpatineurope.com. I started it when I moved to Stuttgart as a way to keep in touch with family and friends who were not on Facebook. I don’t write regularly but when I do, I get a good response. And it is a good source of information and even inspiration for other expats or people who plan to move to Stuttgart! Thank you very much for your time, Nicole. 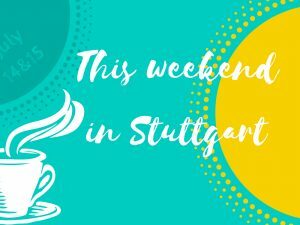 What’s up this weekend – July 14 and 15 in Stuttgart?